Certified Professional Photographer located in the Brighton Howell Michigan area. I specialize in architectural interior photography for Houzz profiles, websites and portfolios. I love working with interior designers and architects to showcase their work. My goal is to make your design projects look absolutely stunning in photographs! If you've ever tried to photograph your interior projects, you know it's not as easy as it seems. Control of light is crucial, and you want your images to have consistent color and exposure from image to image. It's also visually appealing to have a properly styled room, which is especially difficult when the homeowners are living there. I collaborate with you to style each shot, removing clutter when possible and arranging props to best showcase your work. Fine Artist and Photographer. Specializing in residential photography for builders and Realtors®, ranging from listing photos to single room remodels to custom built homes. Primary area serviced is Washtenaw County. Visit www.staceyfineart.com to view more artwork and photography. Working full-time as a graphic designer for an Ann Arbor corporation, Stacey has run her own art and photography business for 15 years, devoting her evenings to her photography passion. I acquired a Bachelor of Fine Arts in Photography at The Center for Creative Studies in Detroit. Throughout college, I was awarded merit scholarships and I became the favorite student of my studio lighting professor, who was a pioneer of car lighting at General Motors. He recommended me for apprentice photo shoots which led to a position at Guy Morrison Studio. Mr. Morrison, who was a master in automotive photography, recognized my talents and awarded me bigger and better assignments. After Mr. Morrison retired, the new studio owner kept me on, and I excelled to the point that I bought out that very studio. I achieved the dream of becoming one of the top automotive photographers in the country.during that time I became a master at study lighting. Along the way I have also shot architectural assignments for many cliens. I am an Architectural and interior photographer, with over 17 years experience. Freelance commercial photographer and videographer. FAA Part 107 licensed drone pilot. Please visit our website to view our most recent work and contact us to discuss your project. I am a professional commercial photographer with over 25 years in the business. Specializing in architectural, advertising and interior photography. I can help you present your project in the best possible light. We create images that help move houses. Whether you are a builder planning a luxury community, an interior designer who needs to showcase your latest project, or a Realtor with a hot new listing, we are here to make your properties shine. Push your marketing to the next level and edge out your competition by making us part of your "team". This year alone, we've already photographed 250+ homes and estates for builders, designers, and top-producing real estate agents. Our years of experience translate to superior, magazine-quality images that create buzz and generate sales. We tackle projects from small to large, and frequently are contracted for complex or difficult to photograph properties where another photographer may not have been able to create an image that shows off a feature to its full extent. If you are in need of staging, professional headshots/environmental portraits, promotional materials, or custom design work, these services are also available . We service all of Southeast Michigan and are available to travel throughout the U.S. Please feel free to contact us if you have any questions, or connect with us on twitter at @stylishdetroit. Holaday Vision LLC provides photography services, designed to bring your vision to life. Holaday Vision LLC works closely with clients in every step of the process, this ensures that the final product represents a vision unique to the individual. We Specialize in Realestate residential and commercial Photography. If you are interested in finding out how Holaday Vision LLC can help bring your businesses vision to life, please contact us. Hello! My name is Dayna Novak and I am a freelance creative professional specializing in interior photography as well as print and digital design services. I am located in central Macomb County, Michigan but accept commissions nationally. I provide upfront estimates for all of my photography services which includes pricing for the travel and physical photography, as well as the image editing and file preparation. 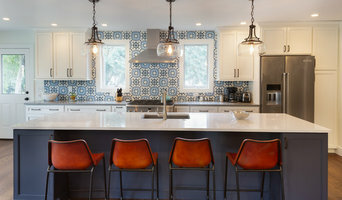 My portfolio currently showcases interiors from the Hamptons, Manhattan, and the Connecticut Coast. I want you to WIN AWARDS and WIN CLIENTS! And I'm going to take the best damn photos I can to make that happen. I truly believe that Architects, Designers, and re-modelers are some of the best human beings on the planet. I love working with all of my creative partners and I truly value strong and lasting relationships with them. As an artist I'm constantly fine-tuning my workflow and searching for new ways to beautifully tell the story of your space. Oftentimes, photographs are the only way the public or potential clients will be able to view your finished projects. No matter the job, I strive to deliver consistently high quality images. I provide professional photography for your residential and commercial real estate needs. 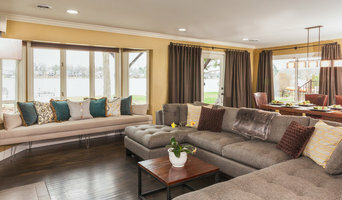 I utilize professional equipment including mirrorless cameras and aerial imaging to make your space look inviting and livable and bring clients into your spaces to see in person. Metro Detroit's premium corporate, commercial & real estate photography for print, web & social media applications. Before you call any potential photographers, make sure they have good references. Friends who've sold or rented homes before are great resources, as are local real estate agents. Look through each Michigan photographer's online portfolio to make sure what you're looking for is being offered. Once you've done that, it's a good idea to walk around your home and write down exactly how many and what types of shots you'll need. Include any specifications you might have, such as angles, things to consider about your home’s Redford, MI site, the time of day you think will be best and aspects of your home you want to highlight. Find a home photographer on Houzz. Narrow your search in the Professionals section of the website to Redford, MI photographers. You can also look through Redford, MI photos by style to find a room you like, then contact the professional who photographed it.